How To Retain The Slip Ring In An Electrical Machine? The slip ring manufacturing companies endeavor for the smooth functioning of the stator in the electrical machines they make. While repairing the other parts of the machine, the users often overlook the stationary body of the machine. The hydraulic swivels work when the stationary structure rotates and transfers the current and signal to the central device. The slip ring is fitted with studs and its length is larger than the assembly. It allows the assembly to drop on the flat surface of a plate and is bolted between the rotor and the stator of the machine. The slip ring assembly has an option of torque lug that is positioned vertically in a machine. It is screwed with the stud or a rod of the equipment. In some cases, the torque lug is placed on the top of the metal ring. The slip ring assemblies allow the torque holes to attach with an outboard motor. The enlarged holes of the torque hold a pin or rod which extends to that of the hole. The undersized pins that are fixed to the torque hole allow the rotary joint to stay afloat while taking away the pressure from the bearings directly. The slip ring comes with a custom torque bracket. It is attached to both end of the metal ring and fits perfectly in every machine. The fork-like bracket holds the outer part of the stator ring. Both the stud and bracket retains the slip ring material in a correct position so that it does not fall on the surface of the machinery plate. The undersized pins prevent the direct pressure of the ring from the metal bearings and help the stator to revolve. 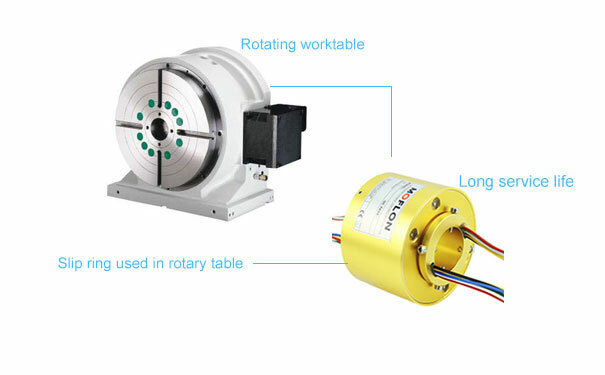 In the industrial sectors, a rotary slip ring is inducted in both small and large machinery. A special type of rotary joint is required to rotate the inner parts of the industrial machines. 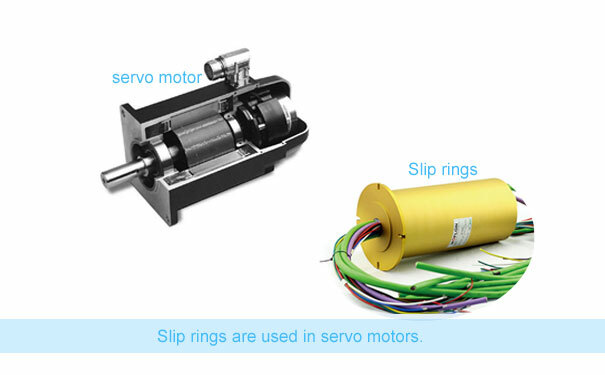 The slip ring connects with the sliding of the equipment through electrical charges. The central device helps to release the necessary image and data signals of the two rotating systems while the electrical rotary rotates in the machine without interruption. The device helps to rotate the rotary shaft of the equipment and then the shaft supplies the current and signal to the fixed position. The two structures move in circular motion and maintain the 360-degree rotation procedure of the industrial machines. A pancake slip ring has a number of series of rotary joints. It is a flat disc metal ring. It is as thin as a plate and is oval in shape. It is also referred to as a disk or pie slip ring. This slip ring contains a stator, a rotor and a spring piece. The elastic device is connected to both the rotor and stator parts of an equipment. The two structures have mounting holes that are added to the slip ring with a soldered wire. The flat disc uses the advanced fiber brush for establishing a contact and ensures emission of low friction. Basically, the slip ring is installed in a vertical position on an equipment. It can be also divided into an integrated disc type or a separate disc type slip ring. It provides a collection of solid and different hole sizes. The slip ring consists of a PCB board design to meet the height problem of an electrical device.